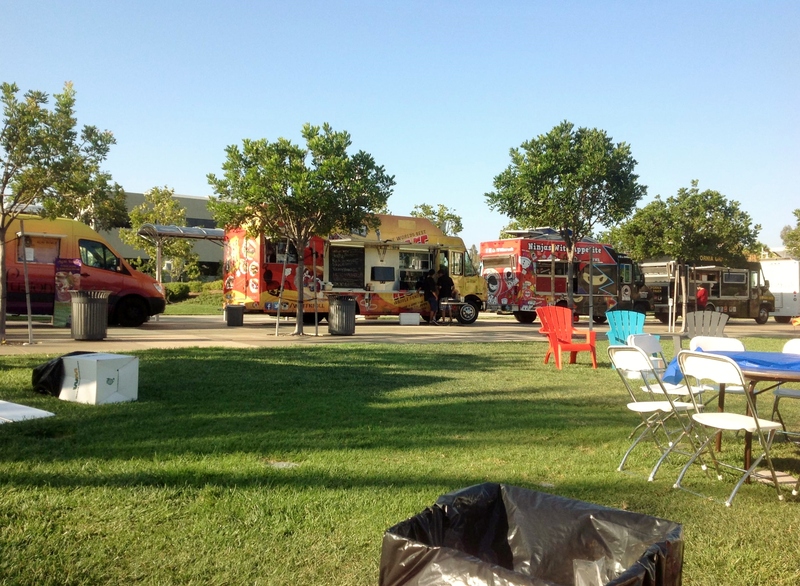 Tyrone Wells Concert and Food Trucks! 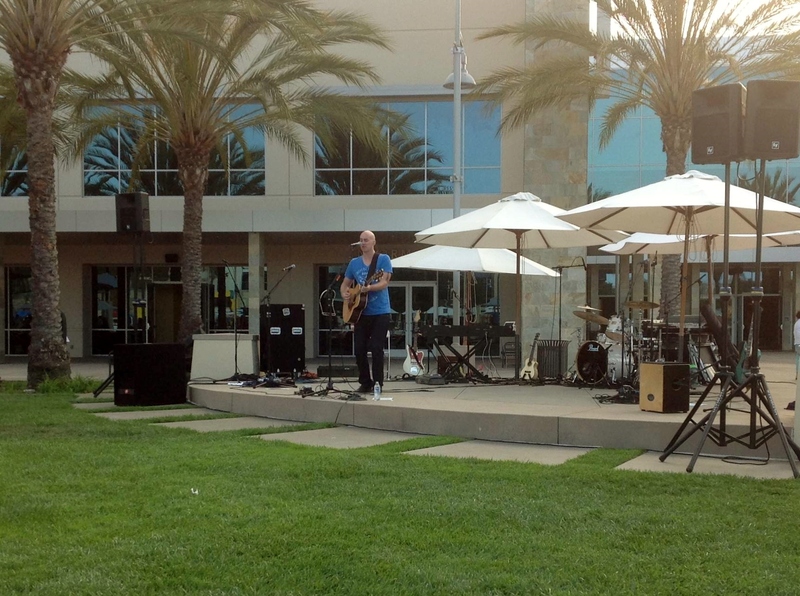 For the past two summers Jeff and I have gone to a few of the free concerts put on by Mariners Church. This past weekend our all time favorite artist Tyrone Wells was playing and we never miss an opportunity to see him play! We first learned about him back when I was in college and my university had him come and play a little concert there. His songs are mostly secular but we later found out he is actually a Christian and does play a few Christian inspire songs that he wrote. Mariners invites a few different food trucks to come out so that we could buy dinner while watching the show. I ended up getting an Acai bowl from a place called Pulp Fusion. Seriously delicious! I got the fusion bowl which has granola at the bottom, a blend of Acai, almond milk, bananas and strawberries, and then topped with sliced banana, strawberry, blueberries, shaved almonds and honey. The Acai blend tastes almost like a tart frozen yogurt. So good! Jeff ordered a chicken and waffle sandwich from one truck and popcorn chicken from a different truck. It wasn’t until he brought them back that he realized he basically order the the same thing from two different trucks. Not to mention we had Chick-fil-a early in the day in which he order chicken nuggets. I guess he was really craving little pieces of fried chicken that day! We love how the outdoor concerts are so intimate. People trough down blankets, set up lawn chairs and just enjoy being outside and listening to some amazing artists. Afterward we got to chat with Tyrone for a little bit and he actually mentioned he was working on a new album with someone that Jeff was friends with in college! Crazy! Definitely one of our better dates nights! Here a couple videos I shot at the concert. The first is a “Diva Mix” where he covers Ellie Goulding, Beyonce and Taylor Swift! The second is one of my all time favorites, “When All is Said and Done” and he uses it to close every single show. We have been following him for around 7 years nows and every time we have heard him play, he has closed his show with this song.